We specialise in custom made laser cut screens and CNC perforated decorative screens. Discover why Decoview screens are arguably one of the highest quality and best value for money decorative screens on the market. available in a huge range of designs, colours, materials, frame systems and made to your exact specifications and delivered Australia Wide. 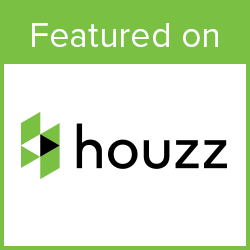 Contact us today to get started on your next project with a free quote. safe edges no dangerous edges, along with better powder coat life and application. Decoview screens are made safer and last longer than any other screen on the market. 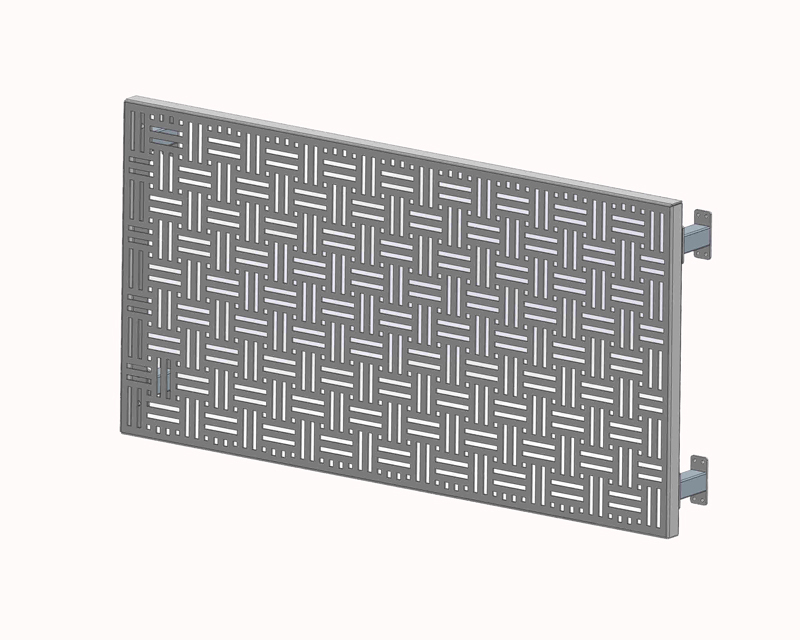 Laser cut decorative screens are at their best when made from solid aluminium 5005 H34 for Decoflex framed or 5052 H32 for Pool Fencing for added strength and corrosion resistance. We also supply Corten steel for the weathered steel look. folded Decoflex edge or Decosection box frame Extrusion. We ensure you have a great fit every time, save time and money on install, do it right! Powder coating available in 200 colours to Australian standards, Interpon and Dulux approved apllication. Unlike many other brands Decoview screens are pre-treated prior to powder coating to ensure a longer life. You can have your beautiful Decoview Screens in under 3 weeks from meaure. Don’t wait any longer than you have to. Ask us about our flexible no interest ever payment terms. Easy direct debit monthly payments. Commercial quality laser cut decorative screens are now available to everyone thanks to Decoview. Decoview screens are not hardware store throwaways they are made to last for decades. Decoview are all about decorative screen solutions that work. With our in-house design team we can make your screening project come to life. premium thicknesses up to 6mm. Decoview aluminium la-ser cut screens are a made premium, with the exclusive Decoedge system taking all sharp edges and burr of after cutting, then pre-treated prior to powder coating to ensure your investment is around for years to come. If you care about quality don’t accept any less , if your screens are not edge rounded they simply won’t last as long. Decoview Screens are powder coated in-house using a Dulux and Interpon certified application process and available in over 200 beautiful colours. All Aluminium screens are chromate pre-treated to ensure a better prep and longer life, combine this with the edge rounding process and you have one of the most durable decorative screens on the market today. So if you want to order your gorgeous new decorative screens direct from one of the market leading suppliers with the hugest range of colours in stock, contact us today. Decoview Screens can be used for a wide range of uses, whether you need laser cut privacy screens, laser cut fence toppers, decorative pool fencing or a laser cut wall feature we can come up with a solution to serve your needs. 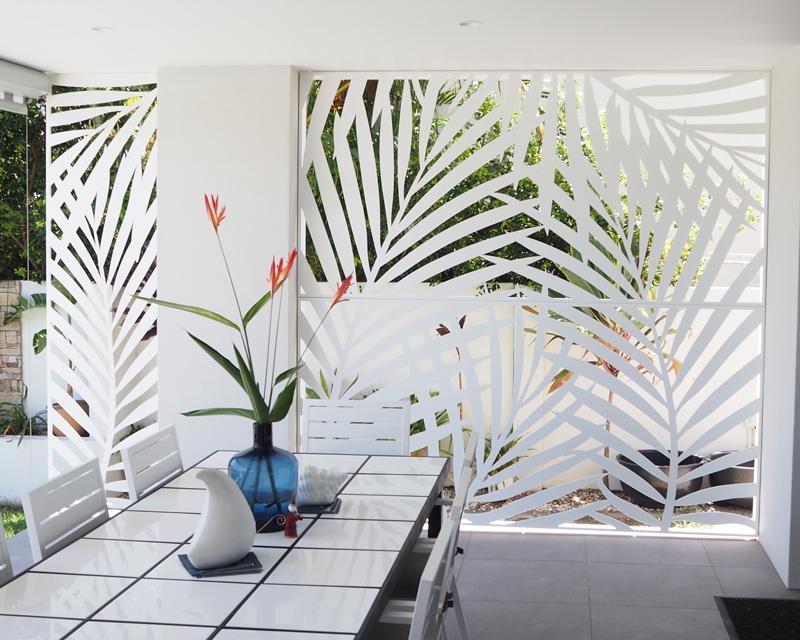 Decoview laser cut decorative screens are available Nationwide.If you need laser cut screens Brisbane, Decorative screens Melbourne, Laser cut privacy screens Sydney, laser cut screens Gold Coast or decorative screens Adelaide we can deliver to your door. If you want to buy decorative screens direct from one of the most advanced and high-quality screen companies then Decoview screens are for you. With access to 10 laser cutting machines, 8 press brakes and 4 linishes and in house powder coating, you can get the best laser cut screen prices for quality decorative screens in the market.